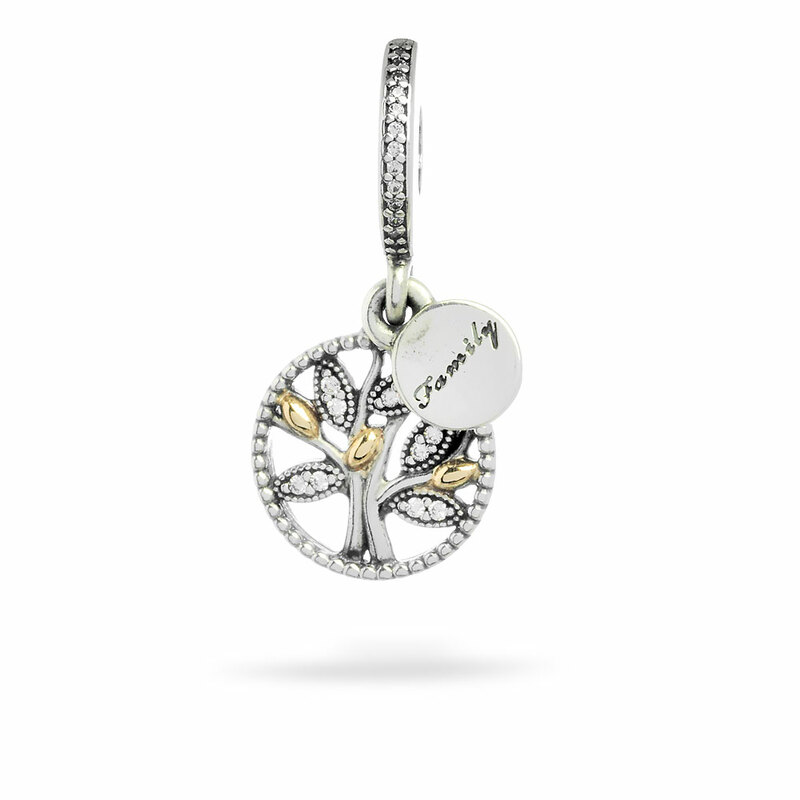 Remember the past with a Family Heritage PANDORA silver hanging charm, featuring an openwork tree, 14ct gold and cubic zirconia accents. Buy online or in-store.This item is a single charm only. Bracelets sold seperately. Styling images may show this charm on a bracelet as styling inspiration. Family Heritage Silver PANDORA Hanging Charm is rated 4.7 out of 5 by 87. Rated 5 out of 5 by Tracey67 from beautiful! I received this charm for Christmas from my daughter. It's exactly what I would have chosen for myself. I love it. Rated 5 out of 5 by LadyShopShop from How Blessed We Are This charms reminds me of my family, and children. I am truly blessed. I purchase charms that really mean something to me. Rated 5 out of 5 by Cecelia B from I love it! I bought this charm as a reminder that FAMILY OVER EVERYTHING is my moto and that includes past, present and future. It is beautiful and represents just what it was intended to be. Rated 5 out of 5 by Miki from Beautiful Bought for my daughter and ordered myself one. Still waiting for mine since Nov 2015. Our gift to the two of us for genealogy work done so far. Rated 2 out of 5 by Jthompson1075 from Poor shipping and packaging of the piece. Bought a week or so ago. Will never order online again.